Remember in our previous blog on taste differences that smell makes up a large part of our sense of taste. Therefore, an individual with an Autism Spectrum Disorder might have an extremely fine sense of smell, which can be enough to make them avoid certain foods or even lose their appetite. So, there might be overlap in this very complicated topic of sensory differences as they co-exist in each person. 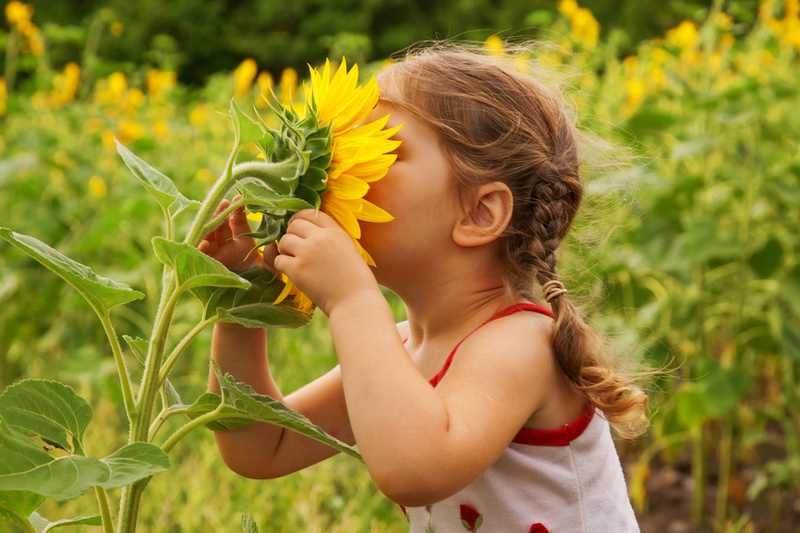 Smell might be a hidden source of discomfort and even anxiety for some persons with ASD. “Hidden” in that a neuro-typical individual might not perceive a particular smell that registers heavily for the person with ASD. I am reminded of a few instances where smell was a critical factor in the daily happenings of certain individuals with an ASD. One young man with limited verbal capabilities would protest behaviorally when it was time to go to the restroom. Mind you, this was a boy’s restroom at a high school. After some careful analysis and problem solving, the staff decided to try changing the restroom from the boy’s restroom to the teacher’s restroom. As with most teacher’s restrooms, there was more attention to décor and cleanliness. There were smells of lotions instead of the usual smells of high school boys’ restrooms. The protests stopped once this change was made. Again, what might be a faint smell to most might be a very powerful smell for persons with ASD. Upon entering a boot store for the first time, the smell of leather was so overpowering that the child fell to the floor and started crying. Once they stepped back out of the store, he was able to regain his composure and tell his parents that the smell hurt him. It also makes one wonder what other smells impact this child, but in a lesser way. In summary of this series on sensory differences, we must be vigilant in looking for sensory triggers that may impact a person’s ability to focus, to engage and to be successful in a variety of environments. If one is aware of their own triggers, then they can prepare and adjust accordingly, if possible. In another blog we look at how narratives might be one strategy to help deal with these sensory differences. While I agree with this article, I find it unacceptable to refer to any form of autism as a disorder. Referring to autism as a disorder is a reflection of the type of thinking used by the DSM psychiatric model. Big Pharm and the psychiatric community would have us believe that anyone who is different is mentally ill. I am a 73 year old autistic man. I am not mentally ill.
My son has Aspergers and he has an aversion to smells but only in certain situations. Normal smells at home like air freshener etc don’t phase him but we went to a cheese making factory and he refused to go in. My husband just had a few incidents where he smelled a strange smell and his blood pressure went up but then went back to normal. I immediately suspected a seizure but now I realize it was probably his extraordinary sensory uniqueness with Asperger’s that caused the reaction. Upsetting for him because he can’t drive the car until the eeg comes back!! Wish I’d read this excellent article first! !